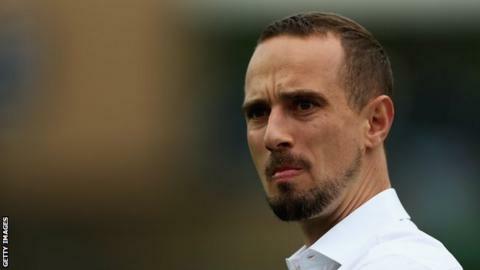 England manager Mark Sampson says he faces a selection "headache" before the SheBelieves Cup in March. It follows a pre-season training camp in Spain during which England lost 1-0 to Norway and drew 0-0 with Sweden. "Some players on this camp have really put their hand up", Sampson told BBC Sport. "Competition is fierce and I want the players to push each other." England will face the three top-ranked teams in the world - USA, Germany and France - at the SheBelieves Cup. They now have a five-week break before their first match in the US, against France, on 1 March. Sampson took a squad of 29 players to Spain, with 23 used across the two matches. With several other regular players missing out because of injuries, Sampson says his next selection will be a challenging one. "The players have come in, shown their mindset and shown they're ready to compete at the highest level," Sampson said. "If you asked every player on the back of this camp how do they feel, they'd say far more knowledgeable about where we're at as a group and where they're at as individuals. "And very clear about where they need to go to between now and SheBelieves." One player who impressed with her performances in Spain was Liverpool goalkeeper Siobhan Chamberlain. Deputising for the injured Karen Bardsley, Chamberlain made a string of impressive saves across the two games and saved a penalty against Sweden. "We're lucky, we've got two of the best goalkeepers in the world and over the course of the two games, Shiv has shown that," Sampson added. After their SheBelieves opener France, England take on the hosts on 4 March and European champions Germany on 7 March.